Dollars into Sense: When the going gets tough, the tough get creative. In these tough economic times, when jobs are scarce and banks are stingier than ever …most people would agree that the idea of starting a company with a new product line would be foolish. While others are turning a deaf ear to all the naysayers and abysmal statistics and are attempting to pave their own way. I have been friends with Jordan and Jemma Rane for more than 10 years and have always had a tremendous amount of respect for them as people, and have always admired their ability to make a living out of doing what they love. It is always so much easier to choose the practical path of least resistance than it is to follow your own creative compass. 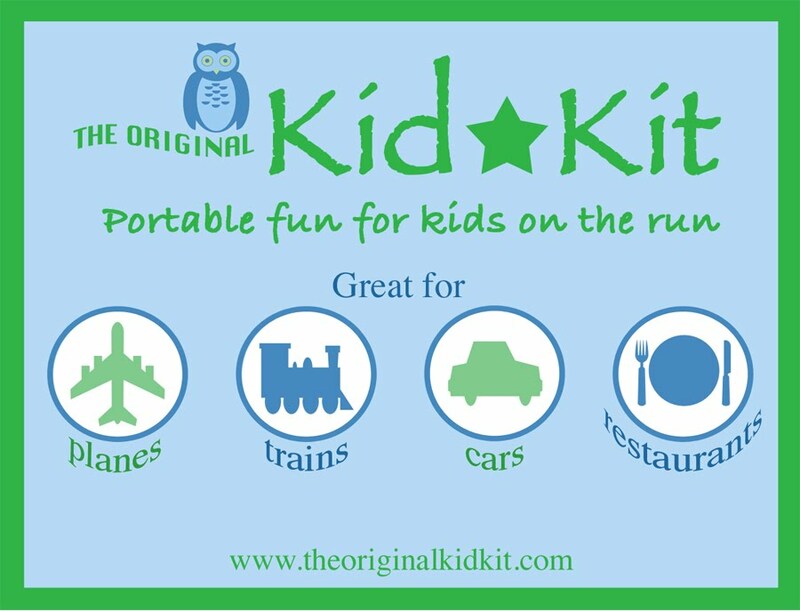 So when Jordy told me during one of our Griffith Park runs, that he and his wife have started their own company that makes travel kits for kids, not only was I all ears, I had to interview them and of course, write about it as well. Jemma Rane is a Los Angeles-based designer whose ready-to-wear jewelry and boutique women’s and kids’ clothing collections are sold across the U.S. and Canada under the Jemma label. Jordan Rane is an award-winning journalist, travel writer and author, and the former senior editor of Escape and west coast editor of Travelocity magazines. They live in Los Angeles with their son and daughter, Jackson (9) and Quincy (4), and three cats. DIS-	You guys have never been the conventional 8 to 5 types, have either of you ever done the corporate America thing? J&J-	“Corporate” may be a stretch for working as a travel magazine editor for several years (Jordan) or supervising a treatment center for teens and serving as a veterinary technician at the SPCA (Jemma), but both of us worked our share of “regular” jobs (with or without desks and cubicles) before officially going freelance and deciding that self-employment was really worth pursuing. Okay, and at times enduring. DIS-	The two of you work primarily from home correct? How are you guys able to manage work life while raising 2 kids all under the same roof? J&J-	Mainly with caffeine and a sense of humor. It also helps that we’re both pretty type-A and have developed a unique, tag-team co-parenting style where one of us instinctually knows when the other is about to go crazy—and can step in seconds before that happens. In general though, one of us is on duty at any given time when the kids are home and we each have our own designated (sacrosanct) office/studio space. The potential benefit of two parents working from home with equal work loads is that you can achieve a certain “dance” that enables you to juggle a lot of things together as a team. The potential pitfall when home is the office is that you have to know when to turn the “work” button off. Raising young kids without a nanny works wonders in that regard. 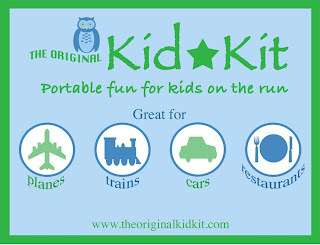 DIS-	Ok, now for the original KidKit.com , you obviously have inspiration all around you (literally) for an idea like this, can you describe the “aha” moment that made you guys think, “hey we should really do this”. J&J-	The light bulb first appeared when our 9-year-old son Jackson was two and Jemma visited several kids’ boutiques and bookstores in search of an all-purpose travel kit -- before ultimately buying various items separately to keep him quietly occupied during the usual bouts of restless down time (in restaurants, at airport gates, the doctor’s office, even at a movie theater). Eventually she said—“We should really create our own great travel kit for kids.” Like many promising ideas sidelined by work, diapers and bills, it took seven years for the bulb to actually get flicked on. Fortunately, we still saw a real need for a great travel kit for kids when we finally got the project in gear. DIS-	Describe the process of taking the idea from concept to fruition; it’s one thing to have a great idea but turning that idea into something tangible is usually what separates dreamers from entrepreneurs. J&J-	Yeah, it’s much easier to sit on a “great idea” than to put it into action, but once you overcome the inertia and take the plunge things can happen pretty fast. Jemma designed an original template shortly before a family trip that we tried out with our kids and nieces and nephews. Even though the Original Kid Kit has evolved significantly since then, that was the real catalyst that got the ball rolling—because it worked, for kids and for parents, and we both got genuinely jazzed about it. Then we dove in and started writing and designing kids activity books and perfecting a way for kids to re-use them over and over again in a dry-erase jacket without marking up any pages (the whole Smart Sleeve concept). Once we started researching die-cut owl shapes, buying chalk cloth in bulk and deciding between black or white rainbow paper options we knew there was no going back. DIS-	At any point did you think it was crazy to try to start a company and launch a product line in this economic climate? J&J-	Not really. You can either absorb all the economic doom and gloom on the news and create yet another reason not to do something you really believe in or just forge ahead while trying to keep your overhead low and doing as much in-house as you possibly can—which, right now, is pretty much everything. Really, we’re just thankful we’re not opening a restaurant or designing a new minivan. DIS-	What kind of feedback have you gotten so far, and what strategy do you have for getting your product out there? J&J-	The feedback so far has been incredibly promising. Once you have school-teacher friends asking to invest and moms (and dads) approaching you at Starbucks while your 4-year-old daughter is engrossed in her Original Kid Kit and asking, “Where did you get that?” you know you’re onto something. Right now we’re in the “peddling” stage. Just getting the name out there, increasing web site traffic and trying to get into as many boutique kid stores as possible. So far, our batting average has been excellent. They’re in stores. They’re selling. We’re getting great feedback. We’re still in the beginning stages but we have reason to be very optimistic. DIS-	I know it’s still very early in the game, but what’s your vision for kidkit.com? J&J-	A nod from the Oprah world is one of Jemma’s Holy Grails in life. But we’d be satisfied seeing Smart Sleeves at the Barnes & Noble checkout, launching a recognizable brand that’s in every airport, train station, hotel gift shop and kid’s store in the country and being in a position to hook a great, battery-free educational product that kids love into various charitable networks all over the country, world and universe. Is that really asking too much? The Original KitKit can be purchased on line at www.theoriginalkitkit.com and can be found in select boutique stores throughout Los Angeles. Great article Vic! I love this product and I think they'll have great success. I've got to get one for CB!